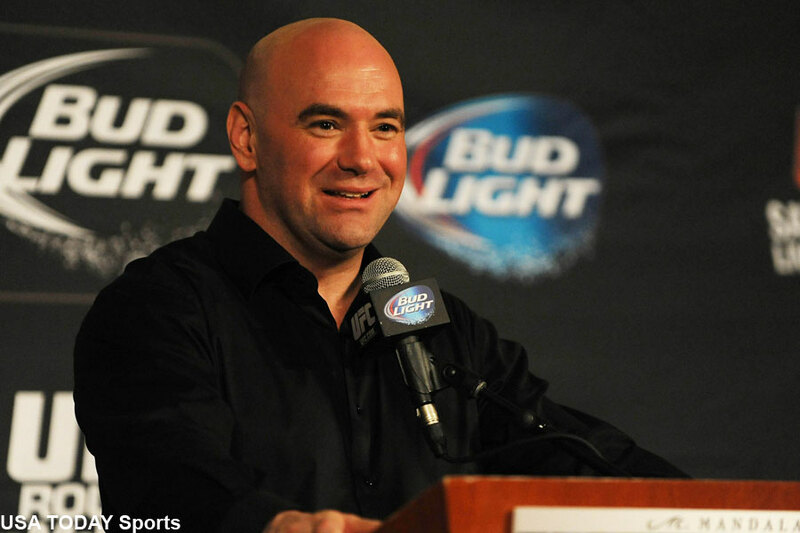 UFC president Dana White (pictured) is vehemently denying Monday’s report by FloCombat.com that the UFC has accepted an offer from a group consisting of WME-IMG, the Dalian Wanda Group, The Kraft Group and Tencent Holdings to sell the UFC for $4.2 billion. So you know what that means, right? The UFC has most likely been sold to the WME-IMG leg group for $4.2 billion. On the premiere edition of the UFC-sponsored podcast “UFC Unfiltered,” hosts Matt Serra and Jim Norton asked White if the report was true. “This has been one of the most disruptive things,” White stated. “Imagine the fighters? I have 400 employees here. It’s been one of the most disruptive things going on ever in the history of the company. Listen, the last thing I’m going to do is fight so hard to get this (podcast) happening, and a lot of other things I’m working on right now, to bring in another regime or whatever would happen. Norton, despite his newfound status as a UFC employee, countered with a key followup question – so as long as White remains with the promotion, all of his employees won’t be headed to the unemployment line anytime soon? FloCombat reported that White will retain his title and (9%) shares in the UFC once Lorenzo (40.5%) Fertitta, brother Frank Fertitta (40.5%) and Flash Entertainment (10%) complete the sale. White failed to provide a direct answer to Norton’s question, which allows fans to draw their own conclusion. Essentially, FloCombat’s report could still very well be true, but since contracts have yet to be signed, White needs to keep negotiations close to the vest. Also, we know full well by now how much White and the UFC love to control what information is released about the planet’s premier mixed martial arts promotion (Please see: Ariel Helwani).